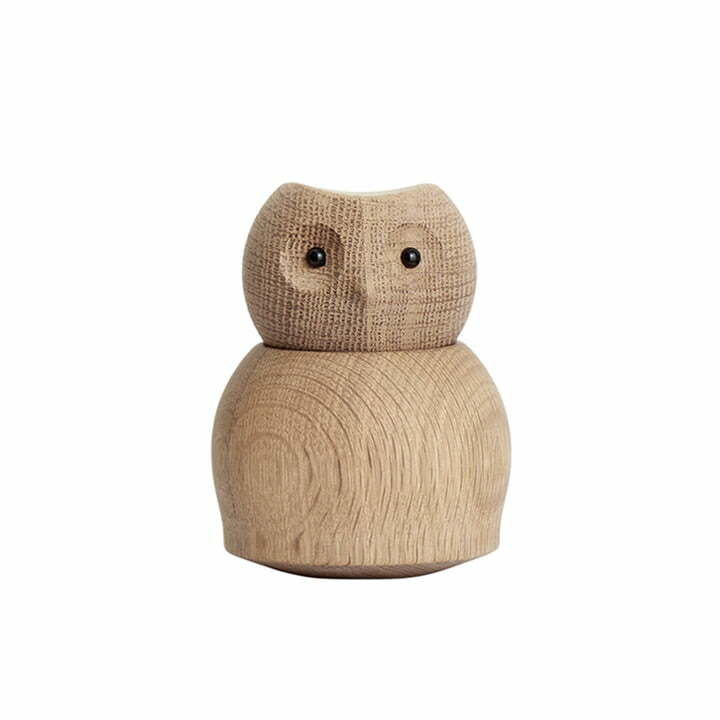 Andersen Furniture owls are charming wooden figures in various sizes made of solid oak wood. 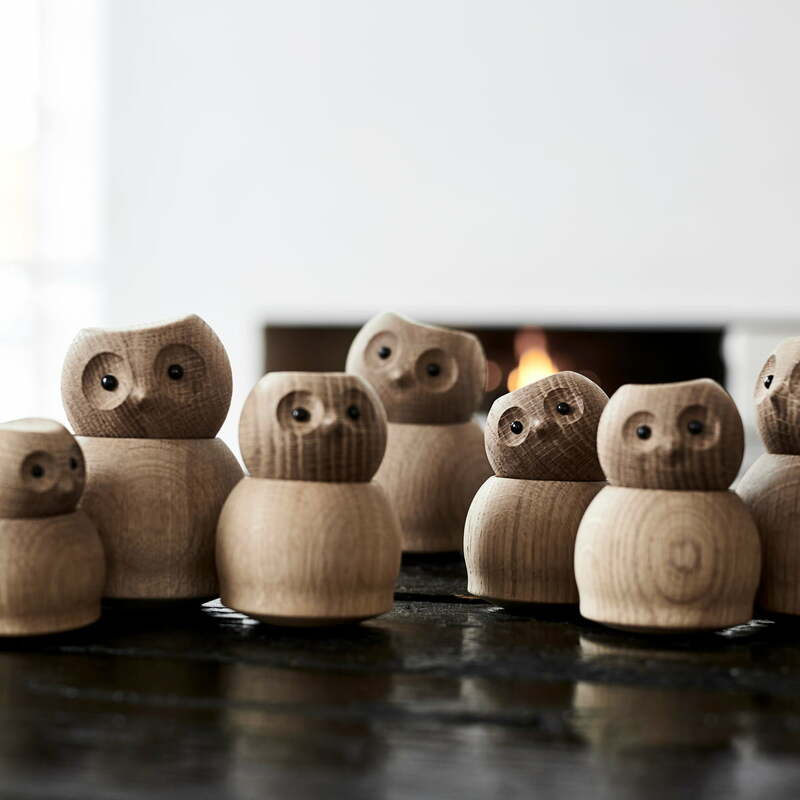 The owl family consists of wooden figures in the sizes 7.5 cm, 9 cm and 11 cm and put together they provide a playful eye-catcher in the living area. The head of the owl lies loosely on the body, whereby an individual expression of each owl is made possible by different placements of the head. 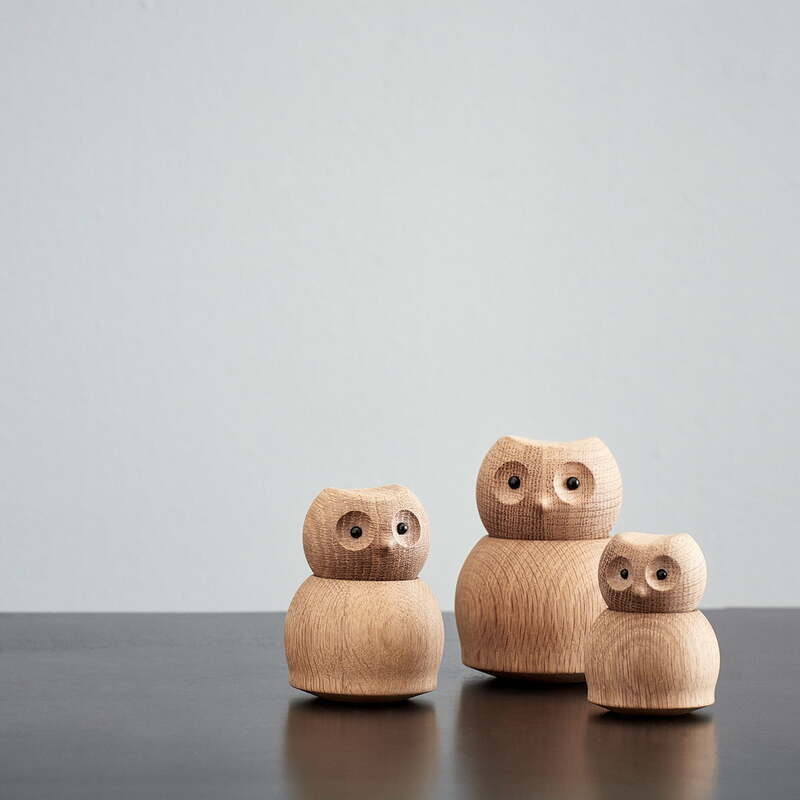 Both alone and as an owl family, the wooden figures are a beautiful decoration on the shelf or on the sideboard. As a gift the owls are suitable for different occasions. The owl in small by Andersen Furniture in oak wood in single product view. The owl with a height of 7,5 cm has a movable head, which lies only loosely on the body. 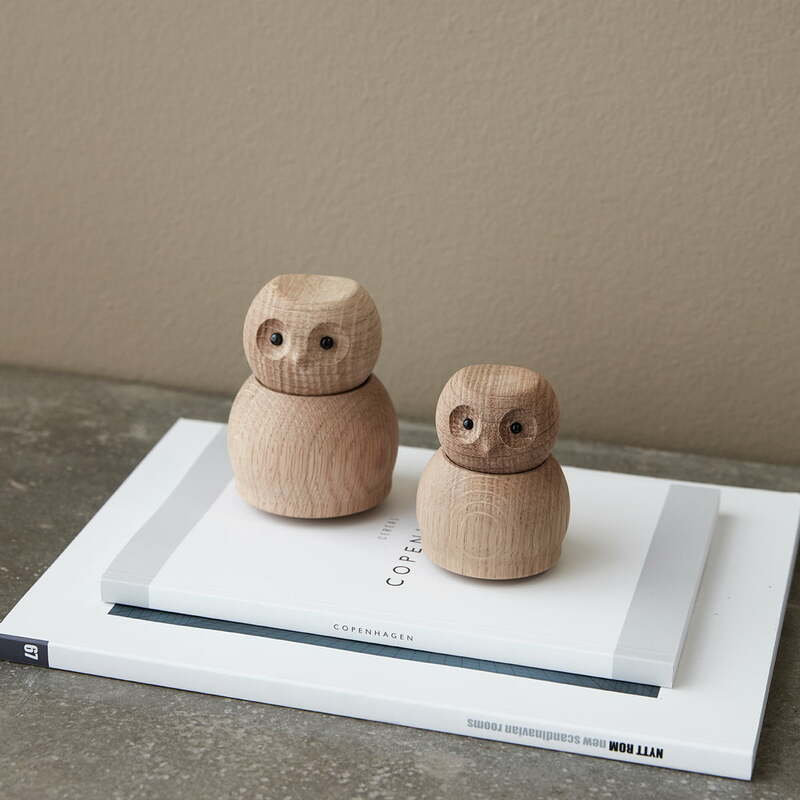 Both alone and as an owl family, the wooden figures are a beautiful decoration in various home furnishings. As a gift the owls are suitable for different occasions.